When it comes to weight loss, people will do some crazy things. If you’ve never heard of using body wraps to lose weight, then you’d better read on. As with most weight loss products, body wraps claim to be the answer to blasting belly fat that you’ve been searching for. Depending on the type of wrap, some products claim that you can lose anywhere from a few pounds to a few inches in as little as 30 to 90 minutes. Other claims insist that when you use the product for longer, you can even drop a few dress sizes. But these claims all seem too good to be true, which leaves many people wondering what the side effects are of dropping weight so quickly. This article covers everything you need to know about using body wraps for weight loss, and whether or not they really work. A body wrap can be made from plastic or fabric. It will need to be several feet long so that you can wrap it around your waist or another body part several times. Usually, the top layer of the wrap contains natural or herbal ingredients that are meant to penetrate into the skin and help you lose weight by sweating or detoxing naturally. The idea behind the wrap is that when you wrap a certain part of your body, it causes you to sweat and flush out toxins that help you lose weight or inches in that particular area. When wraps first came out years out, most people used linen or fabric because it was soft and not so terrible on your skin. But recently, many people have started using plastic wraps or even blankets. The idea behind plastic wraps is similar to that of a sauna. It creates heat and allows you to work up a good sweat, especially if you use them during exercise. Neoprene body wraps are similar to plastic wraps, and they are most commonly used around your middle section. Some wraps claim to be more effective than saunas because they allow you to target a specific area of your body, such as your midsection or thighs. But keep in mind that excessive sweating only causes you to lose water weight, so if you step on the scale and like what you see after using one, chances are you haven’t lost any real body fat. Additionally, losing a lot of water weight can cause dehydration, which has adverse effects on the body and can be extremely dangerous when done in excess. You’ll want to replenish any water weight you lose right away. Additionally, raising your core body temperature may also lead to health problems, especially if you have a preexisting condition. You can either apply a body wrap at home or get one done at a spa. The person who applies the wrap should be a licensed esthetician or massage therapist. You can choose from several different types of wraps. Heat wraps are used by applying heat cream to your skin first before wrapping it. Slimming wraps often use topical herbal products or lotions. You can also get a detox wrap that contains ingredients that are meant to pull toxins out of the skin to help you lose weight, cellulite, and impurities. Once you take off the wrap, your skin should be noticeably tighter, but keep in mind that this tightness is often temporary and your skin will go back to normal after you take off the compression wrap and proper blood flow returns to the area. The short answer is that body wraps might work within reason, BUT they also come with some potentially dangerous side effects that you should be aware of before trying. Keep in mind that body wraps are a short-term weight loss tool that may take off an inch or two, but this is mostly from water weight. These inches may reappear when you become rehydrated and take the wrap off. Your weight loss may also depend on what type of wrap you use and how long you use it for. Remember that it’s not a good idea to keep the wrap on for too long because it may cut off your circulation and damage your skin. Plus, you’ll be denying nutrients and oxygen from that area of the body, which is never a good idea. 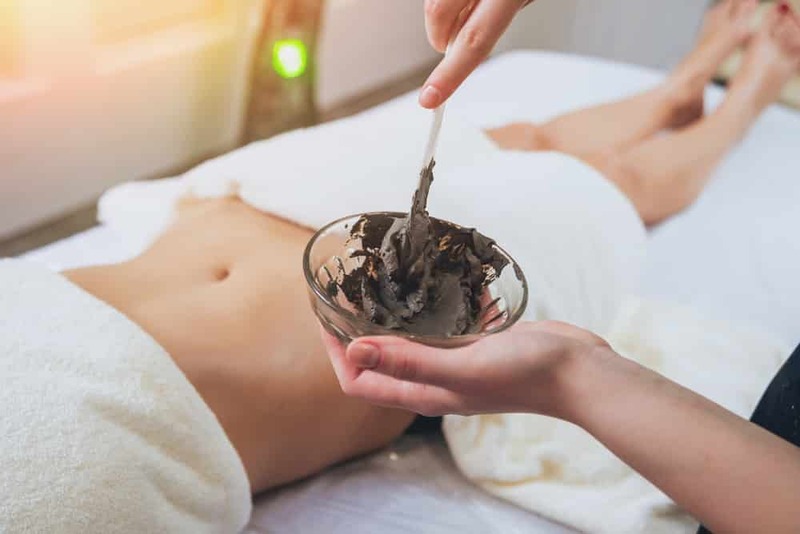 According to an article posted by ABC News, there are some strings attached when it comes to the benefits of using a body wrap. Specifically, the article states that the only thing you lose when you do a body wrap is money. Doctor Victor Herbert of Mt. Sinai Veterans Research Center calls body wraps a bunch of “pseudoscientific gobbledygook.” He stated that the only way you’ll lose weight is by dehydrating yourself. He warns against something called hypovolemic shock that occurs when you become so dehydrated that you have low blood volume shock. Additionally, you could give yourself circulatory problems on top of that. Some people like the idea of using a body wrap at home because they have control over what goes in it. In other words, there is no “secret formula” that spas use that you have no idea what you’re putting on your body. If you’re going to use a wrap at home, start by taking a shower so that your skin is clean and can better absorb any of the materials that you use in the wrap. 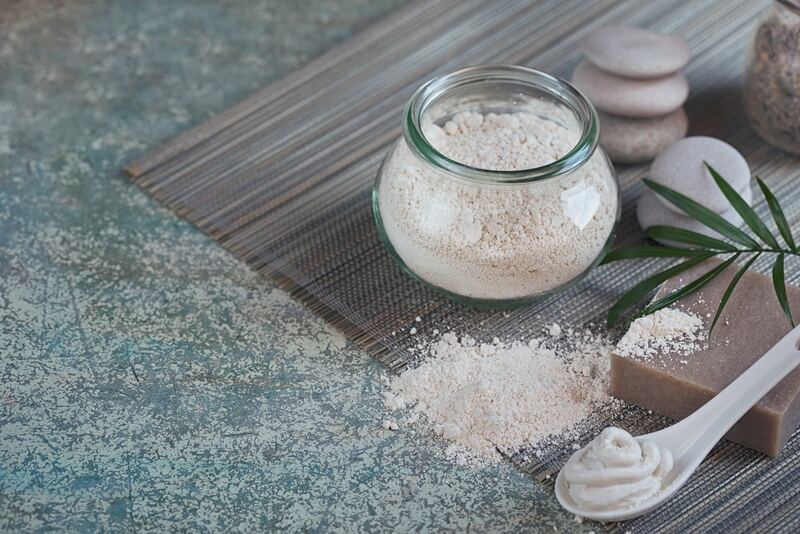 The next step is to exfoliate your skin by using a homemade scrub. You can make one by combining two tablespoons of coconut oil with one teaspoon of fine sugar and a drop or two of lemon essential oil. This is a good way to get any dead skin off your body before applying the wrap. To use the mixture, start by mixing all of the ingredients together. Apply a thin layer of the mixture to the area that you’re going to wrap. Then, apply a small amount of the mixture to the wrap. Most people find that using a plastic wrap at home is easiest. The next step is to apply the plastic wrap to your body, which can be tricky. Plastic wraps tend to be more effective and less messy to use because you can just throw them away afterwards. When applying the wrap to your skin, make sure you don’t wrap too tightly. It’s not a good idea to wrap your entire body. Start by doing one section at a time, such as your thighs or stomach area and then move to your arms, etc. Most wraps will have you keep it on for at least 60 minutes, so be sure you find something relaxing to do while you are wrapped. Some people like to cover the wrap with a towel so that it doesn’t leak and it creates more heat in the designated section. Keep in mind that you should sip water throughout these 60 minutes so that you don’t get dehydrated. If you’re new to wraps, then you may want to start with ten minutes or so and work your way up to an hour after you’ve done a few and know how your body will respond. When your time is up, remove the mask, throw it away and take a shower to wash off all the mixture that you applied. 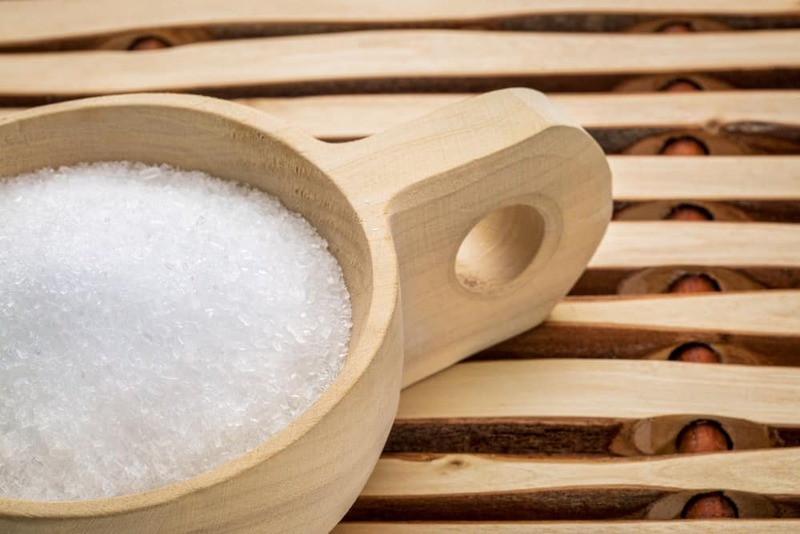 Start by adding the Epsom salt to the two cups of warm water and stir it well so that the salt completely dissolves. Then add your linen wrap to the mixture so that the salt water soaks in for up to two minutes. In the meantime, mix together the rest of the ingredients and add a little warm water if you need so that it creates a paste. Apply the paste on the area that you want to wrap. Wrap that area with the bandage that was soaked in Epsom salt and keep it on for 60 minutes. Always remember to drink water as the Epsom salt in this recipe will pull out toxins and cause dehydration. Wash the mixture off in the shower when you’re done. To start, mix all the ingredients together. Be sure you’re using a high-quality apple cider vinegar and not the store brand ones that you can buy for cheap. This will ensure that you’re getting the “mother” in the product, which is what contains all the good stuff. After you’ve mixed all the ingredients together, apply a thin layer to the area you want a wrap. You can also apply a thin layer to your plastic wrap before wrapping your body. Stay in the wrap for one hour before washing off and remember to stay hydrated. 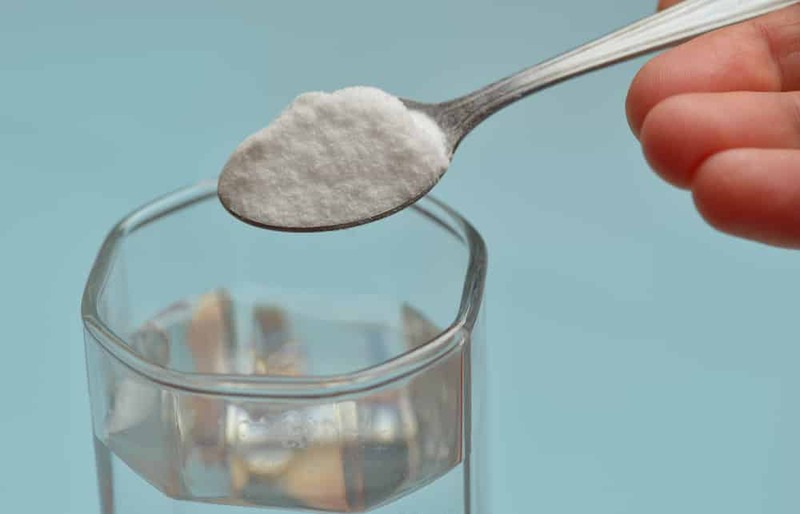 Start by adding the salt to the warm water and mixing well so that all of the salt is dissolved. You’ll want to use a linen wrap for this one, so drop the linen wrap in the water and let it soak for two minutes. Then, mix the rest of your ingredients and apply a thin layer to your body. Take the linen out of the salt water and apply another thin layer to the wrap. Wrap your problem areas with the wrap and let it sit for one hour while sipping on water. When you’re done, remove the wrap and rinse off in the shower to get all of the mixture off your skin. This wrap is full of vitamins that help make your skin flow. To assemble, you can either mash the strawberries, grapes, and papaya in a bowl or throw them into a high-speed blender. Add the lemon essential oil only after you’ve mixed the fruit. Apply the mixture to your problem areas. Take another thin layer and add it to some plastic wrap. Then wrap up your arms, stomach, or legs, but not all at the same time. Let it sit for one hour before washing off. When picking out yogurt to use for this recipe, look for one that’s plain and does not contain any added sugars as this will irritate your skin. Bengal gram flour is made from a mixture of chickpeas. Mix all the ingredients together and apply a thin layer to your problem areas. Do the same to your plastic wrap and cover the areas of your body that you want to be tightened. Wait for an hour before washing the mixture off. As always, remember to sip water throughout the entire time that you have the wrap on. This will help further detox your skin. For many people, going to the spa to get a body wrap is a luxurious treat. But not everyone can afford to get one done at a spa every time. So because of this, it might be better for your wallet to do a body wrap at home. That doesn’t mean that you can’t give yourself a spa-like treatment right in your own bathroom. Use these tips to turn your 60-minute body wrap as enjoyable as possible. 1. Start by cleaning your bathroom. You wouldn’t expect to see a dirty bathroom at a spa, so don’t allow the clutter in your home to ruin your spa-like experience. Cleaning your bathroom will also help you feel like you “earned” a spa day. 2. Next, take a nice, hot shower to relax you while getting the dead skin cells off your body. You’ll need to do this anyway, so make it more enjoyable by breaking out the homemade body scrubs and body washes to feel like a special occasion. 3. Choose something cozy to wear while you’re waiting for your wrap to do its thing. You could pick a comfortable robe as they give you at the spa or even a nice, fluffy towel. Make yourself a cucumber lemon water and have it waiting for you to sip on throughout the wrap. 4. Add some scented candles or incense to help you relax. Dim the lights in your living room and light some candles while you’re wrapped up to help you relax. You can even close your eyes for awhile. Slice some cucumbers and put them on your eyelids. 5. Put on some spa music to complete your at-home spa experience. Safety should always be your number one priority when doing a body wrap at home. Keep in mind that body wraps will make you sweat, which helps flush toxins out of the body. But it can also make you dehydrated. This is one of the most significant concerns of body wraps. If you’re going to use one, make sure you stay hydrated throughout the wrap. Drink at least 1000 ml of water before you do the wrap and sip on water throughout the wrap as well. You can help speed up the detox process by sipping on alkaline mineral water or adding berries, cucumbers, lemons, mint or lime to your water as well. The added antioxidants will help replenish your cells and bind to free radical toxins, moving them out of the body. You’ll also want to use the best ingredients possible when doing a body wrap. Since the whole idea of doing a wrap is to flush toxins out of the body, always use organic products whenever you can so that you’re not exposing yourself to more chemicals. When choosing honey, always go for raw honey as it has not been treated to high temperatures and it still contains its natural antibacterial properties. Vinegar and coconut oil should also be unfiltered and organic because they tend to have more nutrients than conventionally grown products. Next, you’ll want to make sure to prepare your body by taking a shower and using an exfoliator to remove dead skin cells. This will help ensure that the products you’re using can penetrate the skin easier. Lastly, you will want to be consistent with your wraps but don’t overdo it. You probably won’t see results with only one wrap. And if you do, it will be water weight that you lost, not body fat. Keep in mind that there is no guarantee that body wraps will work entirely and they shouldn’t be your only means of losing weight. Maintain a healthy exercise and diet program, and at the very least, you should expect to see more youthful looking skin after you do a wrap. If inches off your waist is your goal, then you’ll want to get a proper measurement before and after you use a body wrap. You can measure your results by using a simple measuring tape. It might help to have someone take your measurements for you if you can’t reach some areas of your body. Start by measuring your problem area and writing it down, so you don’t forget it. Remember to keep the measuring tape next to your skin and don’t insert a finger in between the tape and your skin. This will help you get a proper reading. You’ll also need to make sure you measure the same area before and after your wrap, so you’re not getting a different reading. For example, if you measure your waist, be sure that you didn’t measure too high or too low beforehand. You may also want to take pictures of your measurements or have someone do it for you so you can see the results better. Take the same exact measurements or pictures as soon as you’re done with the wrap and have washed up so that you can measure your results. Before you try a body wrap for the first time, there are some things you should keep in mind. The first thing you should know is what’s in your wrap. Unless you’re making a wrap a home, you might not know what ingredients are in it. Don’t let a spa or wrap consultant tell you that it’s a “secret formula” with unique ingredients. It’s your body, and you have a right to know what you’re putting on it, even if you’re volunteering to test out a product without charge for the first time. Don’t let anyone put something on your body without finding out what it is first. You also want to make sure that the wrap isn’t applied too tightly. Don’t think that the tighter you wrap yourself, the more inches or weight you’ll lose. There is absolutely no evidence to support this. You could do some severe damage to your circulatory system by cutting off the blood flow to a specific area of your body by wrapping yourself too tightly. Next, keep in mind that your risk of becoming dehydrated is much higher when you do a wrap. We cannot stress enough that you need to keep yourself hydrated as the primary way wraps work is by dehydrating you. Lastly, keep in mind that there is no research to prove that body wraps work. The bottom line is that the only safe and proven way to lose weight is to reduce the number of calories you take in so that you’re burning more than you’re eating. Trying quick fixes such as using a body wrap can be dangerous if done incorrectly. We recommend a healthy diet and exercise program to help you reduce your weight overall and don’t try to spot treat. In other words, don’t try to use a body wrap just because you want slimmer thighs or a smaller waistline. Those things will come naturally by doing aerobic exercise and resistance training, especially if you pair it with a healthy diet that includes lots of fruits and vegetables and very few processed foods. Great article about body wraps. But ……. please do not go through this weird process. Just follow your macros and do some exercises.